Grand Valley State University’s student senate voted in favor of withdrawing from the annual Battle of the Valleys fundraising competition against rival university Saginaw Valley State University. The decision was made during the senate’s March 21 general assembly and will be effective as of Fall 2019. Student senate Vice President of Campus Affairs Carter Engler said that a main reason to drop the fundraising competition was due to the copious amount of time and energy required by an already busy senate. Laker Traditions did not help organize 2018’s fundraising battle, leaving most of the work to fall on Executive Vice President Morgan Mattler and Engler. This resulted in preparation throughout the summer and multiple meetings a week. Even with the additional help of other student senators, Engler, who has been closely involved in the planning of the competition for the past three years, said Battle of the Valleys’ execution will continue to be too much work for the body to handle. During this year’s competition, Engler said he felt the drain of the planning on his work as the fall semester began. “There was a lot of separation between what we were trying to do for our committee and then what we were trying to do for Battle of the Valleys," Engler said. "When I had multiple senators come on to my committee… I had a hard time relating to them right off the bat, making sure they were comfortable and set with their projects. I had to focus more on Battle of the Valleys." Mattler said that over the past year and a half, student senate has made a long list of changes that directly impact the student body. By freeing up time and not organizing the Battle of the Valleys fundraiser, he said students will feel that senate productivity will be up through more changes around the university. Some senators at the general assembly also noted that while the money being raised was always for a good cause, Saginaw Valley State has been accused of breaking competition rules in the past to raise more money. This was supposedly done by collecting money year-round and utilizing donations from outside of the student body. At the meeting, Associate Dean for Student Life Bob Stoll made it clear that while the charity competition would be discontinued, Battle of the Valleys would still represent the annual football rivalry between the two schools. While many students knew of the football rivalry, fewer knew of the charity competition and what it stood for. GVSU senior Tori Fowler said during her time at school, she knew generally about both competitions, but has never participated. In spite of the competition’s end, Mattler said that it opens the doors for student senate to enact something new in its place. He said a strong possibility would be an internal charity competition during a new fundraising week. 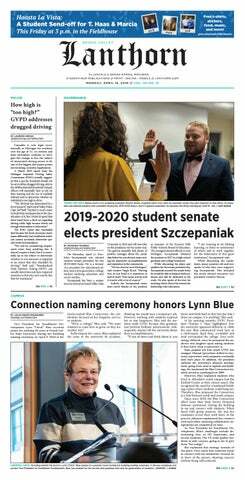 “It is still sad, but as one who planned this for seven months, this will enable all future executive vice presidents to focus solely on the actual responsibilities surrounding their role and hence making a trickle-down effect for a more effective student senate,” Mattler said.